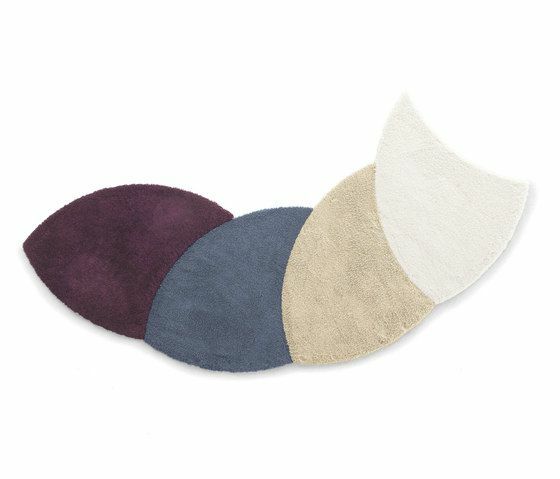 A patented product for rooms with a design edge A circular, modular rug The circular Plet rug is divided by two sinuous lines to create four modules, which you can configure however you like. Like all of the other LAGO rugs, Plet is modular and transformable, giving you lots of freedom forcustomisation: it can be a circle, a flower or a geometric composition,changing design continually. This concept lets the user decide how to configure the modules. The Velcro attachment system make disassembly and reconfiguration a snap. The modules are available in the Flat and Curly finishes and a range of colours.